Might be its right to say its a Journey to the hinterland and the Soul of India, which like the Bharat Darshan, but the whole process of this Jagriti Yatra is somewat the Journey For India, For the People of India, for the Youth of India. The Spark that comes out from a Team of extraordinary personalities , like Shashank Mani, Raj Krishnamurthy, Rewati Prabhu,Swapnil Kant Dixit,Ashutosh Kumar,Vibha Joshi,Nandkumar Kalate,Ritesh Garg,Anupreet Dhody,Mandesh Gharat with as many as 1800 plus Yatris who have visioned an audacious Journey to build a better India in the form of Jagriti Yatra. 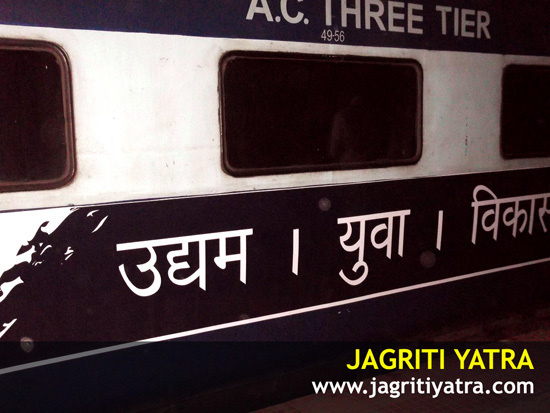 Jagriti Yatra is an ambitious train journey of discovery and transformation that takes hundreds of India's highly motivated youth on an 15 day national odyssey. The aim is to awaken the spirit of entrepreneurship. The vision of Jagriti is to inspire young Indians living in the middle of the Indian demographic diamond (Rs 40 - Rs 120 per day) to lead development by taking to enterprise. The Biz Gyan Tree Excercise is one of the best testimony of this Yatra's resulted Enterprise oriented thought process. 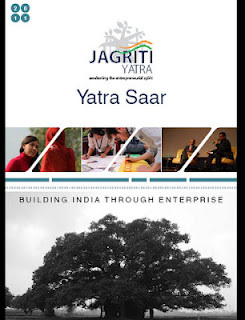 Check out the Biz Gyan Tree 2011 and the Yatra Saar of Jagriti Yatra by Clicking here.